Landlord and Tenant Security: Are Landlords required to change or re-key locks? Physical Security Online > Security > Landlord Tenant Security > Landlord and Tenant Security: Are Landlords required to change or re-key locks? For years when a tenant moved out of one of my rental properties, as long as they returned the keys that were issued, I did not change or re-key the door locks for the new incoming tenant. Re-keying was just an added expense and hassle that I did not think was necessary. But times have changed and I now change or re-key all locks every time a tenant moves out. Does a landlord have a legal duty to change or re-key locks before renting to a new tenant? Well . . . I am going to give you an answer that only a lawyer would appreciate. No, yes . . . it depends. Responsibilities of landlords vary from jurisdiction to jurisdiction. Landlord and tenant rights are governed by a permutation of state and local statutes, federal law, court rulings, and in some cases, the individual lease. As a general rule, in most states there are no laws mandating that landlord change or re-key locks each time a tenant moves out and a new tenant moves in. Unless you rent properties in one of the states that have a specific statute requiring re-keying of locks before a new tenant moves in, or rent properties in a local municipality like San Francisco California, Seattle Washington, or Evanston and Cook County (Chicago) Illinois, that require re-keying between tenancies, there is no law requiring that you do so. Domestic Violence imposes a legal duty upon some landlords. In some states, while there may be no general statute requiring re-keying between tenancies, in cases of domestic violence a landlord may have a legal duty imposed by statute to change or re-key locks. In my home state of Oregon, for example, there is no state law mandating that landlords re-key locks between tenancies, but a state statute does impose such a requirement in situations of domestic violence. Oregon Revised Statue (ORS) 90.459, requires a landlord to promptly change or re-key locks at the request of a tenant who is the victim of domestic violence. Surprisingly, the Oregon statute does not require a tenant to provide verification of the domestic violence, sexual assault or stalking, to initiate the re-keying of the locks but the landlord can charge the tenant for the cost of re-keying the locks. Similar, but not identical, laws exist in Arizona, California, Wisconsin, and a number of other states. Refer: Arizona Revised Statutes, Title 33 Property, Section 33-1318, California Civil Code Section 1940-1954.1, and Wisconsin Landlord tenant Law, Chapter 704.16.
Who is liable when things go wrong? Every first year law student spends many hours learning the legal nuisances of negligence but in very simple terms negligence can be defined as conduct that falls short of what a reasonable person would do to protect another person from foreseeable risks of harm. To prove negligence the plaintiff must prove that the defendant owed the plaintiff a legal duty, that the defendant breached that duty, and, whatever injury occurred was not only the actual cause of the injury, but was also the proximate (or legal) cause of the injury. A landlord’s liability to tenants has undergone far-reaching changes in recent years. 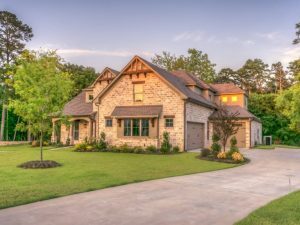 A lease was once considered a mere conveyance of an estate in real property, but now in most jurisdictions it is considered a contract with implied covenants. Even in jurisdictions that have no statute mandating the re-keying of locks between tenancies, the general rule is that a landlord has a duty to take reasonable and prudent steps to maintain the tenant’s safety and security against foreseeable dangers. In almost every jurisdiction in the United States, implied in every residential lease is an assurance that the leased premises are fit for safe and secure living. This is true even if the parties did not expressly agree to this term in the lease. The extent of this duty is a question of law to be determined by the facts on a case-by-case basis, but in most jurisdictions today, the general rule is that a landlord may very well be liable for failing to protect tenants if the landlord had reason to believe a crime might occur. How safe is a residence if the landlord has not taken the relatively inexpensive step of re-keying locks to make sure that the previous tenant (or someone associated with the previous tenant) has not made a duplicate key to the front door? Many “big-box” home improvement stores sell re-key kits complete with instructions for about $20.00 so re-keying locks between tenants is not an onerous task. There are a number of documented cases across the United States where a tenant moved out of an apartment and then some time later the former tenant returned to the apartment, used a duplicated key to surreptitiously enter the residence, and burglarized it. In some of these cases residents have even been sexually assaulted in their homes. When bad things like this happen, plaintiff’s lawyers are going to go after whoever has the money to compensate the victim for damages. In almost every case the miscreant former tenant has little or no assets, so plaintiff’s lawyer will look to the landlord for recovery. Certainly, a landlord who finds themselves as a defendant in these types of cases has viable legal defenses. One of the more basic defenses is the issue of foreseeability. Foreseeability is always specific to the facts of each case but in all cases this legal doctrine “cuts-off” liability for acts or events that were not reasonably foreseeable. If a landlord issued a tenant two door keys and tenant returned both door keys when the tenant vacated the residence, is it reasonably foreseeable that the tenant (or someone associated with the tenant) had duplicated a key without the landlord’s knowledge and would then later use it to enter a residence that was now leased to another party? I use to think it was not reasonably foreseeable, but now I am not so sure. The Prior Similar Incidents Doctrine. Is there a documented history of someone making duplicate keys and then entering a residence after the residence was leased to a new tenant? Have there been reports of burglaries in the area where no obvious point of entry was determined (i.e., no door kicked in, no broken window, etc.) suggesting that a duplicate key was used? Are there cases when the landlord failed to keep good documentation on how many keys were issued to a specific tenant and returned when that tenant moved out? Under this approach courts have concluded that the decision to impose a duty of care to protect against third party liability requires “balancing the foreseeability of the harm against the burden of the duty to be imposed. ‘ “In cases where the burden of preventing future harm is great, a high degree of foreseeability may be required. On the other hand, in cases where there are strong policy reasons for preventing the harm, or the harm can be prevented by simple means, a lesser degree of foreseeability may be required.” Ann M., supra, 6 Cal.4th. Also see: McClung v. Delta Square Limited Partnership, 937 S.W.2d 891 (Tenn. 1996), et al. When “bad things” happen to tenants they will assuredly seek to recover damages from someone. In almost every instance the only person who has any resources to attack is the landlord. Even if a landlord has insurance to “handle” these situations, why would any landlord want to put themselves in a tenuous legal position when re-keying or changing locks between tenants is a relatively inexpensive way for landlords to take reasonable precautions to safeguard tenants (i.e., “customers”). It is good policy and it is simply a good business practice. HELP! Someone stole my house!